The Sonzera 20 and 50 are combo amplifiers with two independently controlled, footswitchable channels designed for maximum versatility and in the spirit of vintage amps that allowed you to control your tone instead of the amp being in control. The clean channel delivers full, 3D tones reminiscent of American 1960's and 70's amplifiers. The lead channel is related to the clean channel circuit-wise, so that it can be set up to act as a boosted clean channel or manipulated to make the channels sound like two completely different amps (the lead channel can be set from slight to very heavy distortion by simply using the volume and master controls). The bright switch on the lead channel has been carefully tailored to deliver familiar high-end snap and is particularly effective on the low strings, neck pickup settings, and with singlecoils, while the low-end response of the lead channel is full, tight, and clear. 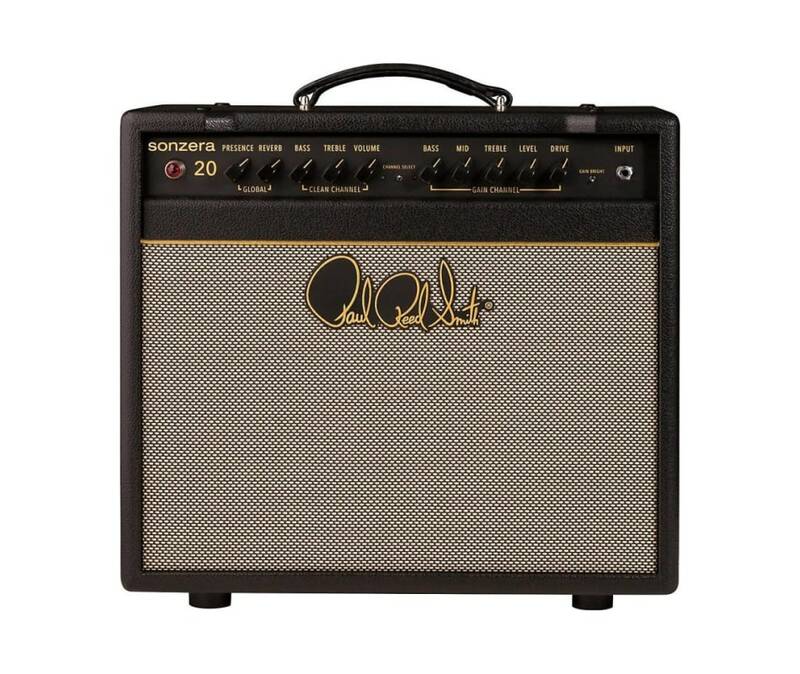 In addition to its versatile tone, the Sonzera 20 and 50 Combos are also designed for reliability and serviceability. The power tube sockets are mounted directly to the steel chassis, and no push-on connections are used - all wires are soldered.